Nintendo’s recently confirmed Direct games showcase has been delayed following a powerful earthquake in Hokkaido, Japan. The quake had a magnitude of 6.7 and has taken the lives of eight people thus far, with 40 people still missing according to local reports. The BBC said power to around three million homes on the island has been cut following damage to a local thermal power plant. The disaster follows swiftly on the heels of a typhoon that has ravaged the west of Japan over the past few days. Called Jebi, it’s the strongest typhoon to hit the country in 25 years and has killed at least 10 people. 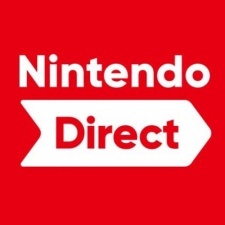 The Nintendo Direct had remained a rumour before being confirmed by Nintendo last night. However, the games giant moved quickly to delay the showcase following the natural disaster with an announcement made on its social media channels. Little is known about the contents of the Nintendo Direct. However, it was expected to showcase games for the Nintendo Switch and the 3DS. Additionally, with the Switch’s online service expected to drop in the second half of September, it was wagered there would be some update in that regard. A new time and date for the Nintendo Direct will be provided in the near future. Nintendo president: "We certainly want to release mobile games across a wide variety of genres"